AdventureMaker.com • View topic - AM Created Games Download Page No Longer Active? The requested URL /free_games_for_windows_downloads.php was not found on this server. Will these come back again? I hope so. Re: AM Created Games Download Page No Longer Active? Yes, they are going to be back... GM said that the website was attacked and it was down for some time, we lost hope for it. 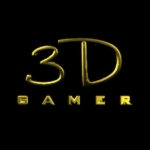 Hey 3DGamer! Nice to hear from you again!!!! Thank you, Vengeance66, for the update. Looking forward to seeing the game pages again. And nice the hear from you too, reneuend.